Coming from the far shores of France, Kilo Off has hit the American markets, promising women that they can lose weight and keep their stomachs toned and trim. Coming not in a diet pill but a liquid form, this diet supplement comes with a 40 page guide book to help it’s users on their quest for weight loss. Is there any truth in these claims? Or is this just some foreign company, trying to bank on it’s exoticness in a foreign land to make money? There are a lot of scams out there, and a lot of products that make false claims. We decided to check and see if Kilo Off is one of them. Kilo Off is manufactured by Vitarmonyl, a company based in France. Vitarmonyl likes to advertise themselves as a producer of high quality, low cost products. The company produces a variety of other goods some of which include vitamins, herbal teas, diet supplements and oral care products. Kilo Off can be purchased on it’s official website, as well as retailers such as Amazon.com. 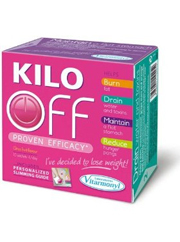 Kilo Off claims to work in 4 separate sections to help with weight loss. These sections include: burning fat, draining water and toxins, helping keep a flat stomach and suppressing the appetite. Coming in a sachet, the contents are to be mixed with water and taken once a day, either before breakfast or as the official website says, during your “Kilo off moment” (This is never expanded on). Despite some users seeing results, others saw very little, if they did see any at all. Users have also reported that the drink itself doesn’t taste very good. Kilo Off has many different natural ingredients in it, with many claiming to do different things. This can be broken up into 4 sections: the fat burners, the flat stomach supporters, the water and toxin drainers and the appetite suppressors. Included with this are various vitamins. It should be noted that while some ingredients are labeled to “drain water” none have a diuretic effect. It should also be noted that a couple of the ingredients included, orange peel and pineapple extract, can lead to higher blood pressure and heart rate, which can lead to stroke. -Green tea: Commonly used in weight loss products, this helps boost metabolism while giving mental focus and clarity. -Green coffee: Although commonly used in weight loss supplements, there is no evidence that shows that this ingredient is effective. -Guarana: Claimed to help with fat burning. -Mate: Claimed to help with toning and to reduce lipos. -Meadowsweet: Believed to help with water retention, however there is no evidence to support this. -Orange peel: Used to raise energy levels and burn fat, this also accelerates the heart rate and heightens blood pressure, which can lead to stroke. -Grape marc: Advertised as a diuretic when it really isn’t, this is known to help treat diabetes. -Cherry stalks: Used to stop water retention. -Cynorrhodon: Full of vitamin C, this is believed to help prevent cancer. -Pineapple extract: While believed to help with inflammation, there is no evidence that this is relevant to weight loss. May actually increase blood pressure and heart rate. -Papaya extract: High in vitamins and nutrients, this is also known as a natural contraceptive. -Apple pectins: May help lower cholesterol levels if used with guar gum. -Citrus pectins: May help lower cholesterol levels when included with guar gum. -Cider vinegar: Believed to be a remedy for various maladies, there is no evidence in it’s effectiveness. -Guar gum: A natural laxative that helps the user feel full. 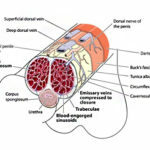 -Chromium: Commonly used in weight loss supplements, there is no evidence that this is effective. Side effects from taking this product may include excessive bowel movements. 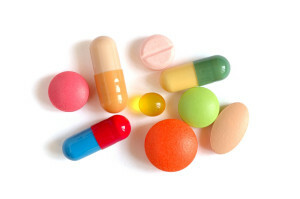 For information on other all natural diet pills, check out the top 10 list. Kilo Off contains many vitamins which may help the body in overall health. While a year ago Kilo Off didn’t even have a website, it now does, however the website consists of a single page with a “BUY NOW” option on the bottom. There aren’t any testimonials, no FAQs, no About Us; all that is presented are a few paragraphs of the product followed by brief descriptions of ingredients. The bareness of the website doesn’t help to legitimize the product. There’s also the matter of the ingredients included in this product. While there are many good ingredients, that doesn’t necessarily mean that the product may be any good, in fact an overload of ingredients can nullify any positive effect they may have. Some ingredients included such as green coffee and chromium are known to be ineffective towards weight loss, while other ingredients like pineapple extract and orange peel, may in extreme cases lead to stroke. If you already bought this product and aren’t happy with what you have, you’ll find yourself out of luck, as there is no money-back guarantee. While including a lot of healthy ingredients, there isn’t enough proof to show that this product really works as it is claimed. You might also get a bad case of the runs with this too. It always sounds good when a diet supplement can claim to do more than one thing at a time. However despite it’s claims, Kilo Off hasn’t given a lot of users the promises that it said it would. There are other diet supplements that can actually live up to their claims. Kilo Off isn’t one of them. If you were hoping it was and are sorely disappointed, as the French say, c’est la vie. Whats better than Kilo Off?